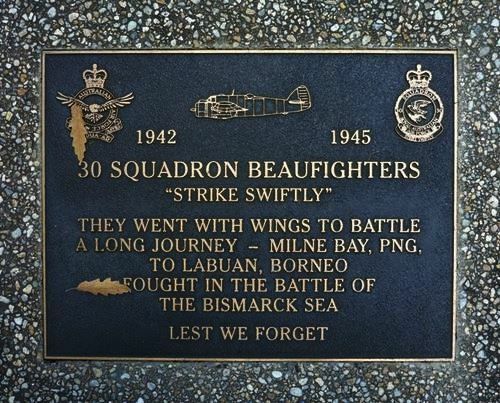 A plaque commemorates the personnel who served in the 30 Squadron Royal Australian air Force (R.A.A.F.) during World War Two. No. 30 Squadron was established at RAAF Base Richmond on 9 March 1942 as a long-range fighter squadron operating the Bristol Beaufighter.